You may be facing a number of operational challenges in your higher education institution. If so, you should consider investing in an EPR solution that solves these problems with features designed specifically for higher education. That ERP solution is SAP Business ByDesign Enabled For Higher Education, which has features that meet your needs and solve many of your daily operational inefficiencies. Explore three common problems your institution might be facing, and learn how SAP’s higher education ERP solves them. If your financial and accounting functions are split among a number of different solutions, it's impossible to have access to real-time data or make decisions based on accurate information. This is an acute pain that a higher education ERP easily solves. SAP’s higher education ERP breaks down the silos of your current systems. You can use a single ERP solution to perform all the functions that you previously needed multiple solutions for. Since you’re using only one solution, all your data exists in a single place, making it possible to compile real-time reports based on accurate data. Are your employees spending hours on tedious tasks that diminish their efficiency? Having overworked employees is detrimental to your institution in a number of ways. For one, disengaged or overworked employees often make mistakes. Their work suffers and so does your institution. The answer is to automate the tasks that eat up your employees’ schedules. 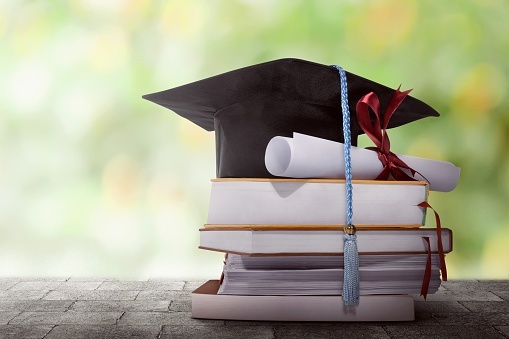 With an ERP such as SAP Business ByDesign Enabled For Higher Education, you can leverage the solution and take care of these tedious manual tasks. Your employees will have the time to focus on more important aspects of their jobs. And employee happiness will increase when they’re no longer overworked, thanks to your new ERP solution. Deciding how to allocate funds is a challenge for every higher education institution. You want to make sure your funds are being used for the greatest impact to your students and institution. With advanced fund-accounting features, higher education ERPs empower greater management over allocation. You can also identify areas where you can reduce excess spending, so every funding dollar is spent wisely to further program goals and benefit your students. SAP’s higher education ERP solution gives you greater control over your funds and how they’re used. Don’t waste any more time struggling with challenges like these. With SAP Business ByDesign Enabled For Higher Education, you can address these issues and many more, ensuring your institution operates with greater efficiency. Find out which SAP ERP solution is ideal for your institution. Schedule a free consultation now.